Want to be faithful to your decorating style, but might also take into account other things when choosing the best stand for your flat screen TV. If you’ve invited everyone to watch the basketball game, or you are just wasting time watching golf, you need to be sure sure that you can see all the action, thus considering the height of the TV stand. Follow these tips for a more in-depth view. As you have bought a new flat screen TV, you may find yourself wondering which TV stand is the best option for you in terms of both aesthetic and functionality. Here are some tips that will help you find the best TV stand that fits in with your lifestyle whilst blending in with your decorating style. 1. 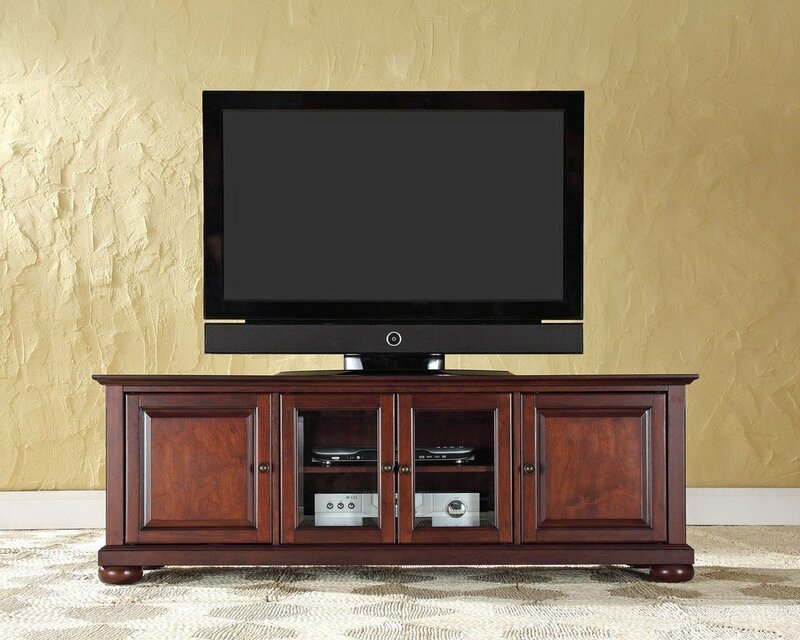 If you have friends over to watch the latest blockbusters on a regular basis, then you need to look for a TV stand that has plenty of shelves for surround sound speakers and for your DVD collection. Be wary of dimensions too as if you have sound bars that need to sit next to the TV you may find that your TV stand is not wide enough. 2. If you’re a big fan of video games you need to consider all the extra room that games generally require. If you need a lot of room to play these games with your friends, you need to look for a narrower TV stand. Measure your TV depth, including wires and cords, and have them handy while you’re shopping. 3. If TV is not a great part of your life and you only have it so you can watch the occasional film or programme, invest in a TV stand that can also be used as a bookshelf. You could also opt for a corner stand to make sure your TV doesn’t take more space than it needs to.